Are you on the hunt for a reliable hosting service for your static website or beta testing? Is your budget a constraint in your urge to explore premium hosting options? AWS Free Tier can provide instant answers to these technological needs. Here are some of the features AWS Cloud services Free Tier from Amazon that separate it from the rest. AWS Free Tier is an AWS web hosting solution for developers and startups who want to avail cloud services for free. Cloud hosting services for one year free of cost is available under this program from Amazon. 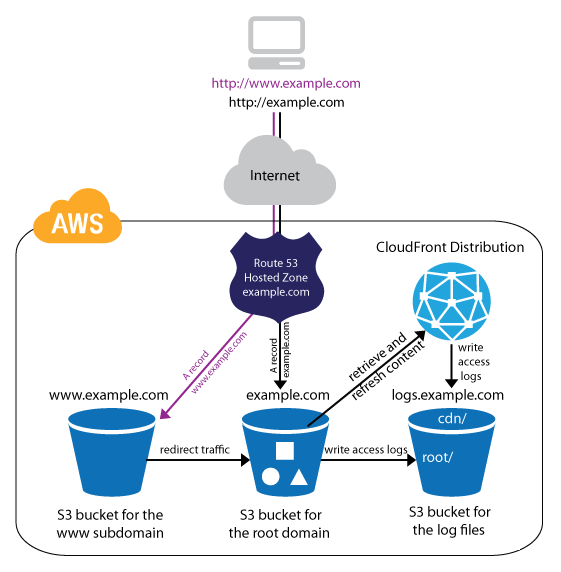 One can run their websites and blogs using AWS Free Tier without paying a dime. A quick math on the AWS Simple Monthly Calculator shows that a customer can save precisely $782.64 per year by using AWS Free Tier. There is hardly any other hosting service that matches up with AWS Free Tier in terms of such cost benefit. Thus, it is an ideal cloud solution for those who wish to leverage the advantages that cloud has to offer at negligible costs. Setting up Free Tier is easy. Open AWS Console and sign up with your mail ID. Then fill in your credit card details. For validation purpose, AWS charges just $1 from your credit card account. This is a one-time deduction and there is no other charge before or after it. Free hosting services for 12 months is an amazing deal to start up a new website or blog platform. Developers get a free development environment for one year to see if their code really works. With AWS Free Tier, it is also possible to run multiple blogging platforms at zero cost. Always available and highly scalable, AWS Free Tier is one of the most popular Amazon cloud services today. One can run WordPress blogs using this server. It is cheap yet dependable. Contrary to popular opinion, AWS Free Tier is not a mere marketing gimmick by Amazon. As an entry-level solution for developers, AWS Free Tier allows users to get a hang of how AWS actually works in advance. With AWS Free Tier, the only thing one needs is an idea about how to go about their development work; the platform is already there ready to use. Thousands of Amazon web services users in India who use the free hosting service all testify to its ease of use and feature-rich nature. i2k2 Networks is a hosting services company and global data center in Noida, India. Our goal is to transform the IT infrastructure of our customers through an innovative approach. If you have any web hosting requirements and need an expert ear and service provider, feel free to Contact us or email to sales@i2k2.com You can also call +91-120-466 3031/+91- 9711774040 to talk to an AWS Web Hosting expert.